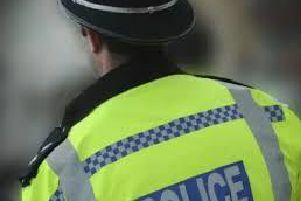 Thames Valley Police is appealing for witnesses following an assault in Netherfield. At around 4.40pm on Monday (July 9) a man and a woman were walking towards the shops on Farthing Grove from the direction of the hospital. The pair were approached by another man who accused the victim of being racist. When the victim replied that he hadn’t said anything, the man threw a bottle of water over him and then punched the woman, who was heavily pregnant, in the stomach. The woman attended Milton Keynes University Hospital and was discharged the same day. The offender is described as a black man in his late twenties or early thirties with a black beard. He is approximately 5ft 6ins tall and is an average build. He was wearing a grey hooded top with the hood up and black trousers. Investigating officer PC Kelly Gladstone said: “I am appealing for anyone who may have witnessed this unprovoked attack or who recognises the man described as someone they know to contact us.